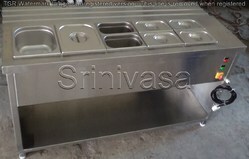 Pioneers in the industry, we offer stainless steel tables, stainless steel canteen dining table, canteen equipments and hot food counter from India. Enhanced by an immense commercial expertise in this dominion, we provide Stainless Steel Tables. 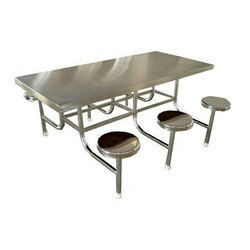 We are affianced in presenting to the industry a top class range of Stainless Steel Canteen Dining Table. Broadly acclaimed for its durability, these are highly commanded.